Birks Tarn is a fairly large tarn situated on the broad Birks Fell ridge about a quarter of a mile south of the summit of Birks Fell itself. 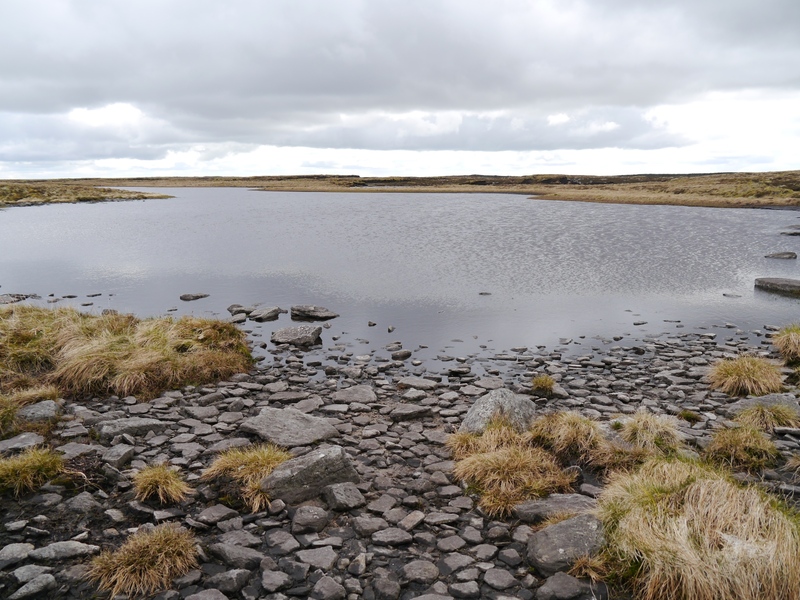 Birks Tarn can easily be reached from the Buckden to Litton bridleway that crosses the Birks Fell ridge a half mile to the south of the tarn. 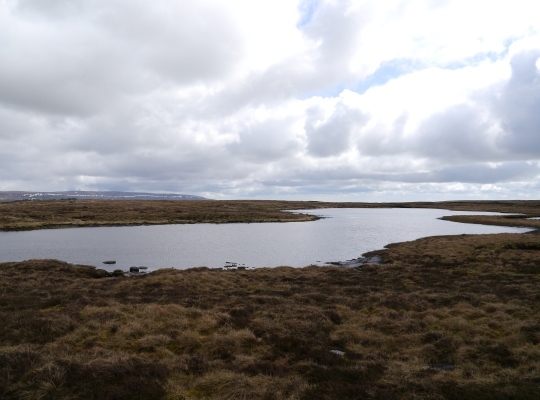 It is a nice stretch of water and, unlike some moorland tarns, I don’t recall it being particularly boggy around the edges. Indeed there is a stony beach at one side of the tarn. So far I’ve only visited Birks Tarn twice, the first time in October 2004 and again in April 2012. 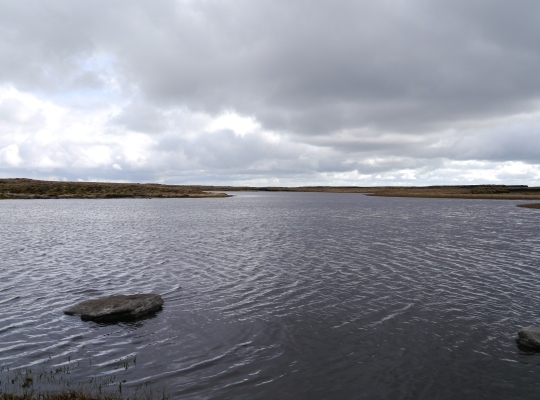 On both times it was quite cold and cloudy but I suspect it would be a fine tarn to while away some time alongside on a warm summer’s day.